We're thinking this Rodarte online archival sale being put on by Presse Boutique on Monday, November 3 is going to be a virtual madhouse. It starts at 9am PST, but we get word from Presse that you can get a one-hour head start on the sale at 8am by signing up with social fashion site Closet Couture. It's free and it literally takes less than a minute to sign up. 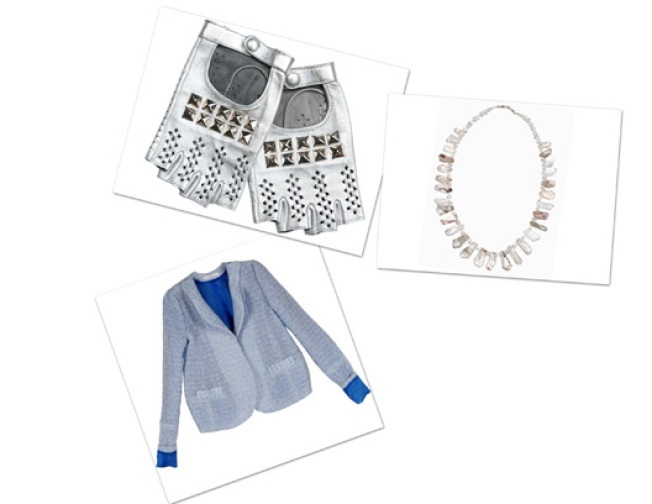 We're given a taste of the sale above with three pieces: A barely blue blazer from spring '08, made with an archive textile; a crystal and lava necklace from spring '06, designed by Rodarte designers Kate and Laura Mulleavy's mother; and leather 'Pyramid' silver studded gloves from spring '08, inspired by Japanese anime.